We believe a company is only as good as its faith in the products it sells. At Applegate, we continually strive to make our service department the best in the industry! Homeowners in Michigan really count on their HVAC units working properly through the entirety of the season. It can cause a serious issue if your heating goes out in the dead of winter. If you are ever in a situation where one of your HVAC units stops working when you need it most, you can count on Applegate Home Comfort to respond to any emergency. We provide our emergency services 24/7. It does not matter what time it is, our team is ready to address any of your emergencies at a moments notice. When you call Applegate Home Comfort, you get access to a wide variety of HVAC services. Our experts are highly trained and ready to provide your home with the best repairs to get your heat or cooling back up and running. We are tied to this community and we want to give homeowners the comfort they deserve. Our workers aim to provide you with these services because they care that you and your family are safe during this time. As mentioned above, there are a wide variety of services that we provide that are aimed at optimizing the comfort of your home. We are here to help you find the best solutions to find the perfect temperature for your home. We don’t just focus on answers, we focus on savings. Our business will help you find the energy saving solutions that will lead to savings throughout the year. You can cut down on your energy bill and find an HVAC unit that works more efficiently and effectively. In order to avoid the cost, many homeowners attempt to take furnace repair into their own hands. Unfortunately, this can often lead to mistakes that can create more expensive repairs or even call for replacements. Instead of facing the risk of handling the job alone, you can call Applegate for the best support in furnace repair. With our services, you’ll be able to repair your furnace and make sure that it is going to work properly through the winter. Through our business, you get access to trustworthy contractors who can reliably provide the services you need. Rest assured that we will send our best to your door to pinpoint the issue and repair the issue on the spot. By the numbers, replacing a water heater or furnace system can cost an average of $1006. When you opt for repairs instead, you have the opportunity to save a lot of money. The average cost for heating repairs was only $300. You’ll save a third of your money by utilizing Applegate for repairs. Many homeowners will run their air conditioning unit throughout the summer and then forget about it the rest of the year. Unfortunately, years may pass by without performing any sort of maintenance on the unit. It is important for homeowners to understand that an AC Unit experiences wear and tear over time. It is crucial to address these problems so your machine can work properly through the summer. With Applegate, you can schedule a maintenance check to get your unit ready for this summer. We recommend that a yearly maintenance check is performed on your unit sometime near the end of spring. You want to make sure your unit is checked out before it is going to run 24 hours a day. With Applegate Home Comfort, you ensure that your AC unit is working properly and efficiently. Not only will your unit save money because it is working well, it’ll also have a longer lifespan. This will eventually lead to bigger savings because you won’t have to replace your AC unit as often. Many homeowners underestimate the role insulation plays in heating and cooling a home. If your home doesn’t have the proper insulation, your AC or heating unit will be working harder than it needs to maintain the temperature of your home. Insulation is essential to keeping heat or cold air in your home and also stopping heat or cold air out of your home. It is the barrier around your home that helps maintain a constant temperature in your home. Bottom line, your HVAC unit will work less to get your home to the right temperature. Too many homeowners choose the lowest bidder for their insulation. This can lead to cheaper insulation materials that won’t work as effectively in the future. While it may save you money now, it can lead to greater costs for heating and cooling over time. If you want to get the best quality out of your insulation, Applegate Home Comfort is the best option for your home. We’ll help you find the perfect solution to improve the efficiency of your HVAC unit. While we work extensively with HVAC units, we can even provide a number of electrical services. 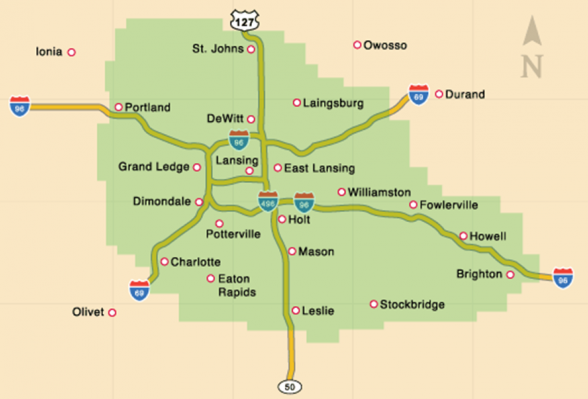 Applegate is a great choice for many homes throughout the Lansing area. Our electrical services include installing light fixtures, accent lighting, and new appliance circuits. We can even provide services to install backup generators. We know the threat of losing power and how people depend on energy throughout the year. You can remove the threat of losing power by utilizing our services for generators. Continually updating our fleet vehicles so they are dependable and supplying our employees with the right tool for the job! Please feel free to contact us. We will promptly return an answer for you! For all of your heating and cooling needs in Lansing, MI, call Applegate. Fill out our convenient online form and we will confirm your appointment.